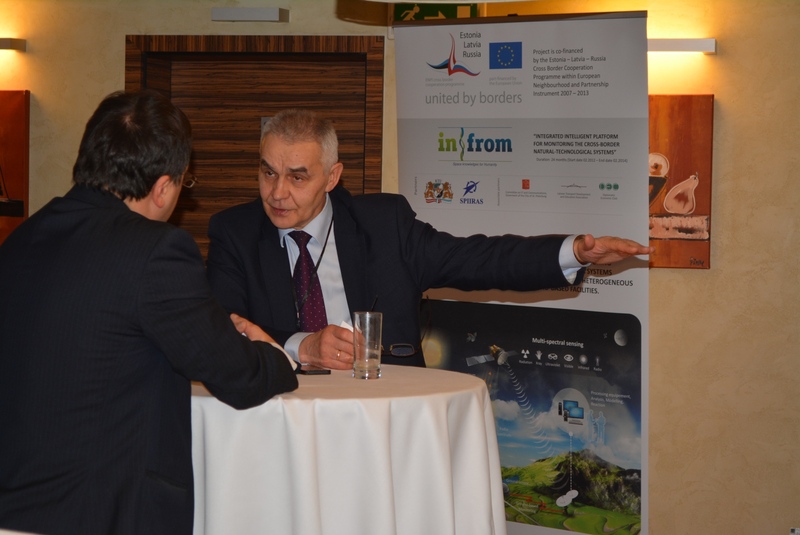 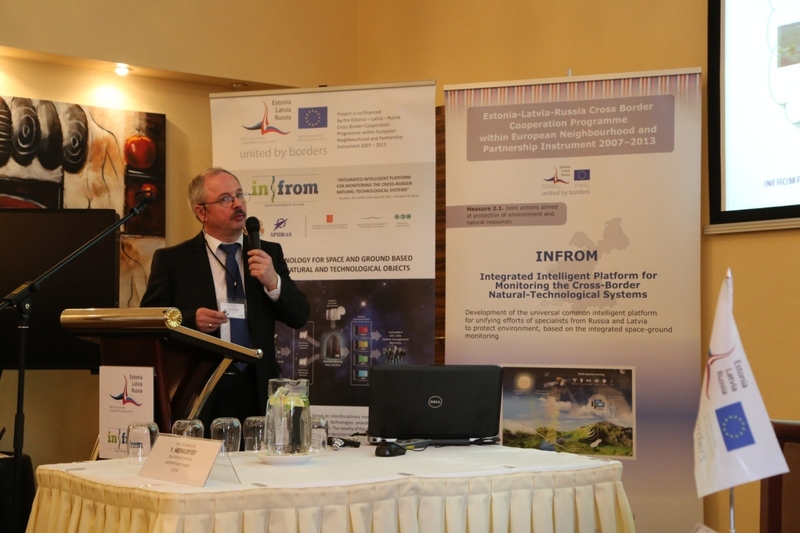 The final conference of the INFROM Project “Integrated Intelligent Platform for Monitoring the Cross-Border Natural-Technological Systems”, No ESTLATRUS / 2.1 / ELRI-184 / 2011 / 14 was held in February 6, 2014 in Avalon Hotel. 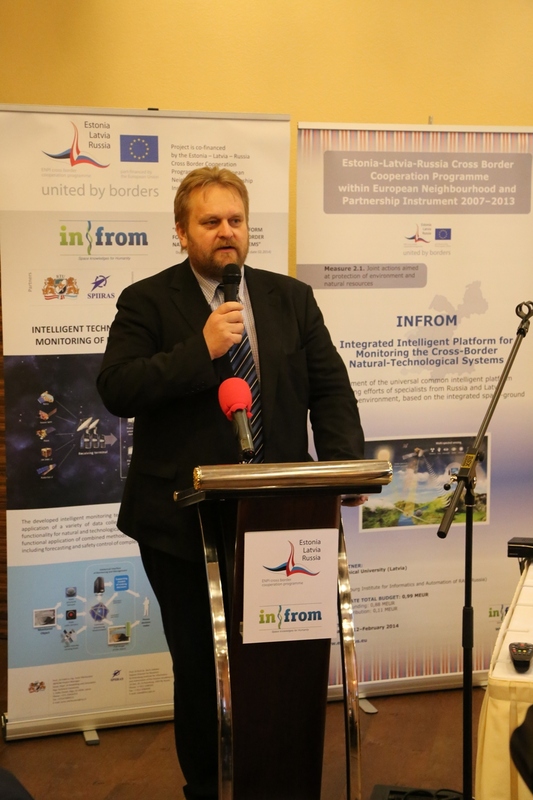 The conference was dedicated to presenting the results of project scientific and research activities. 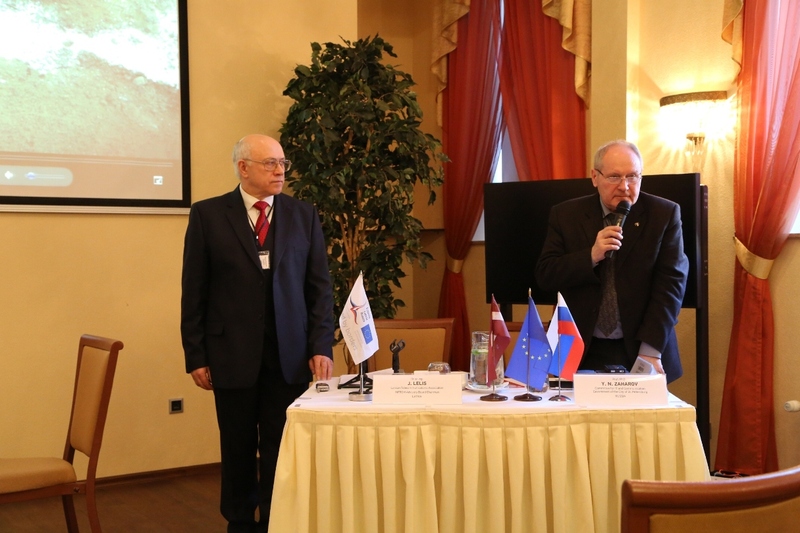 Moderated by Dr.sc.ing. 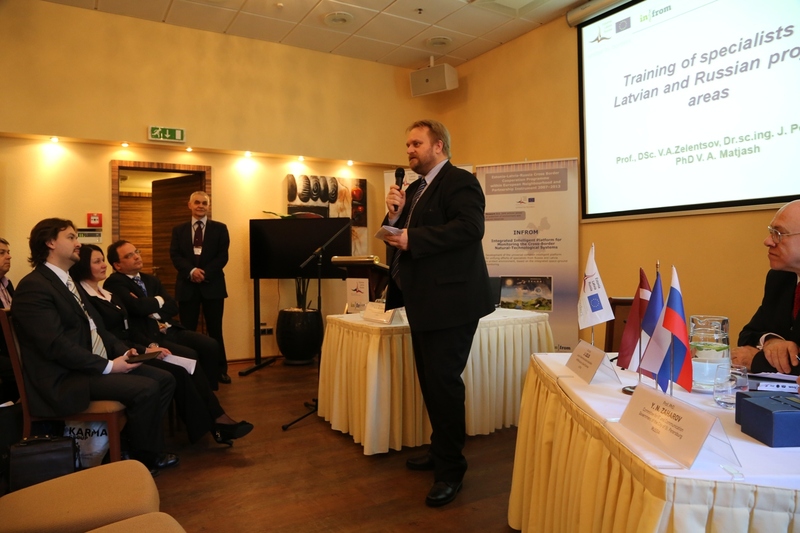 Jānis Lelis (Latvian Telecommunications Association, INFROM Advisory Board Chairman, Latvia) and Prof. PhD. 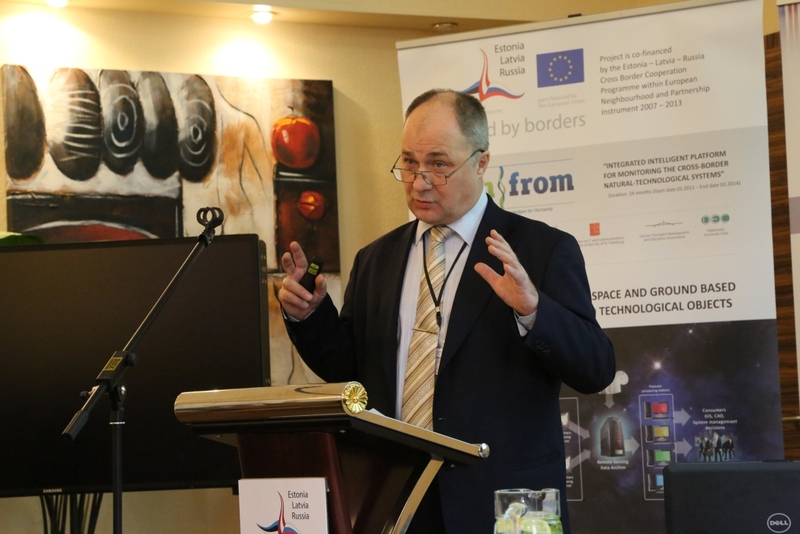 Yuri N. Zaharov (Committee for IT and Communication Government of the City of St. Petersburg, Associate Partner, Russia), the conference had two sessions. 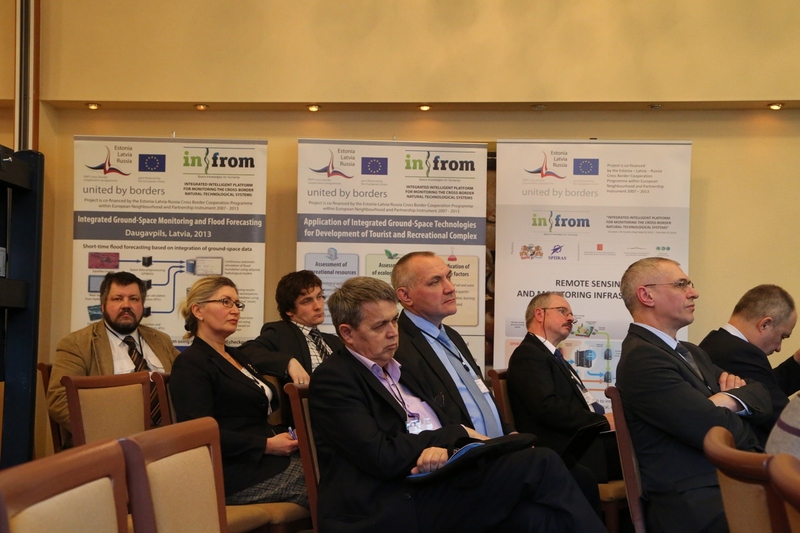 The first session was aimed at demonstrating project methodology, innovative technologies and it platform including presenting intellectual IT platform for integrated monitoring and control of complex systems and processes, integrated support tools and applied results of space-ground monitoring. 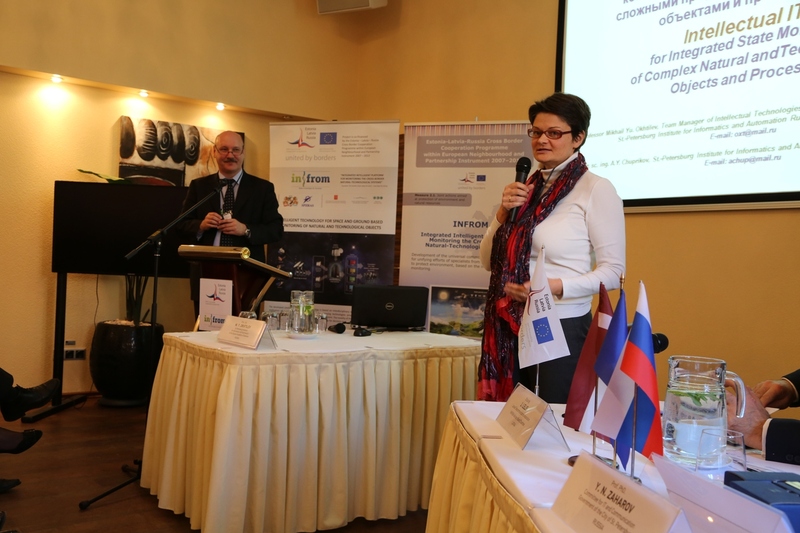 The particular presentation was focused on training of specialists in Latvian and Russian project areas. 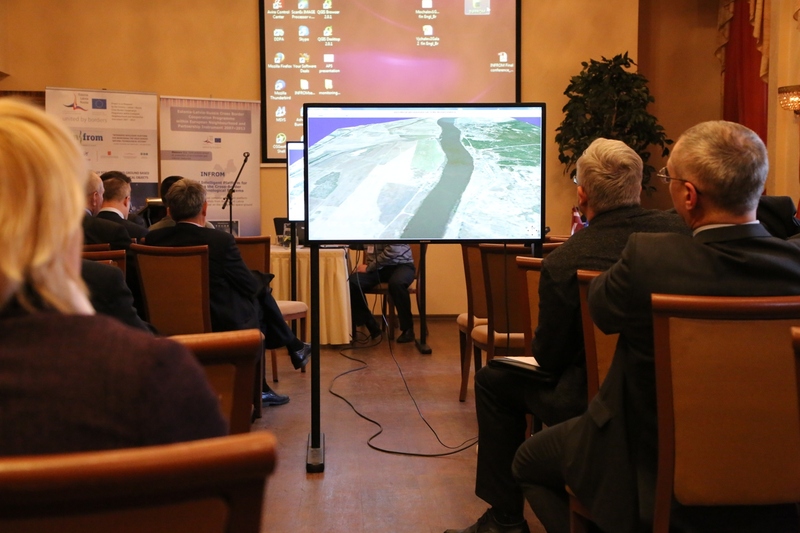 The second session was dedicated to IT platform presentation and demonstration cases including IT solutions for (1) operational flood forecasting based on heterogeneous space-ground data, (2) evaluation of forest fire protection & state monitoring in Madona district in Latvia and Pskov Region in Russia,(3) estimation of ecological states of water bodies based on analysis of Lubana Lake’s overgrowing in Latvia and pollution of the Gulf of Finland in Russia, and (4) aerospace-ground monitoring of the nature use and tourism recreation objects. 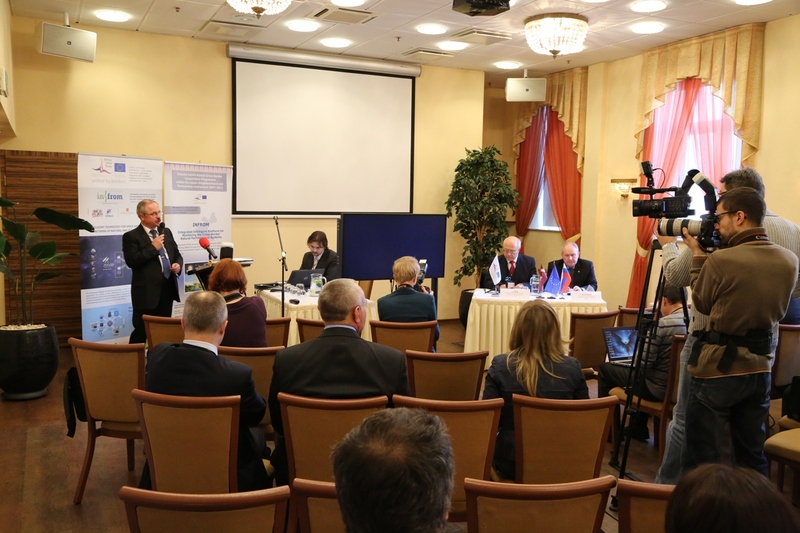 During the conference scientific journals published by project partners, namely Riga Technical University (Latvia) and St.Petersburg Institute for Informatics and Automation of the Russian Academy of Sciences (Russia), were presented summarizing main research and scientific activities of the project. 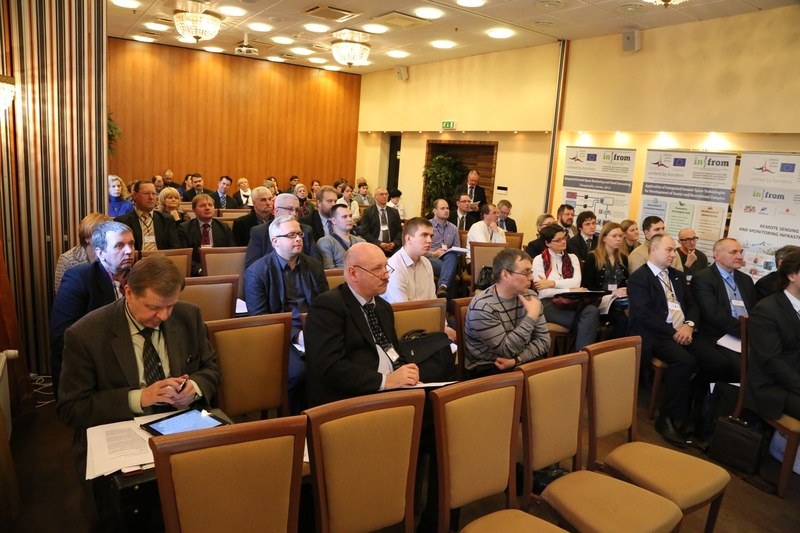 The final conference raised an interest among target groups and representatives of municipalities including Daugavpils district municipality, Riga City Council, Madona Municipality, State fire and rescue service of Latvia, Executive board of the Northern district of Riga city, Ministry of Defence of Latvia, and The Ministry of Environmental Protection and Regional Development (Latvia). 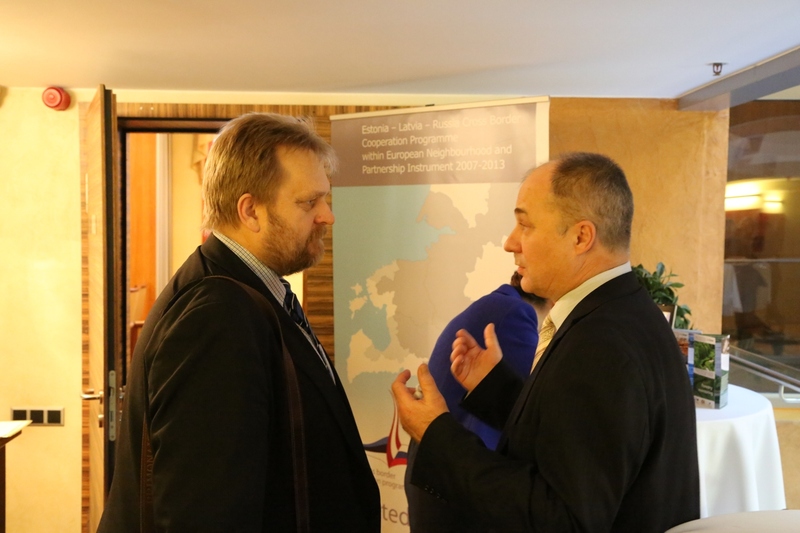 The researchers of the project answered a lot of questions coming from visitors and representatives of mass media. 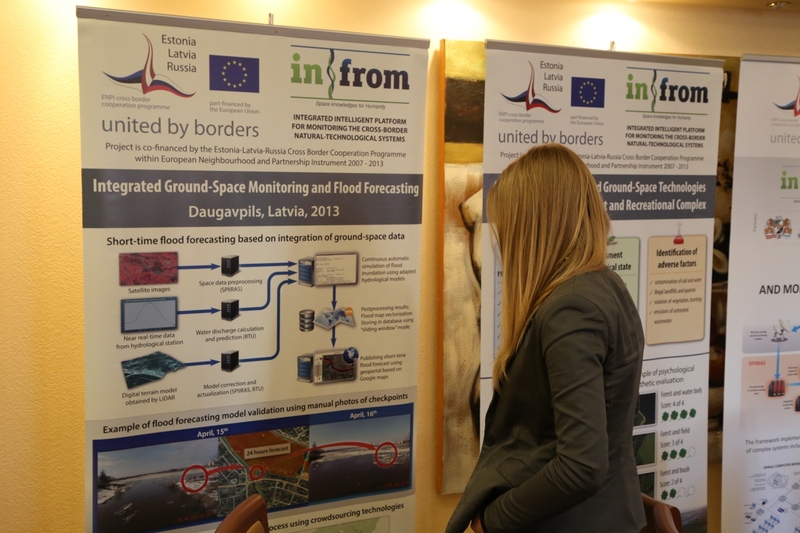 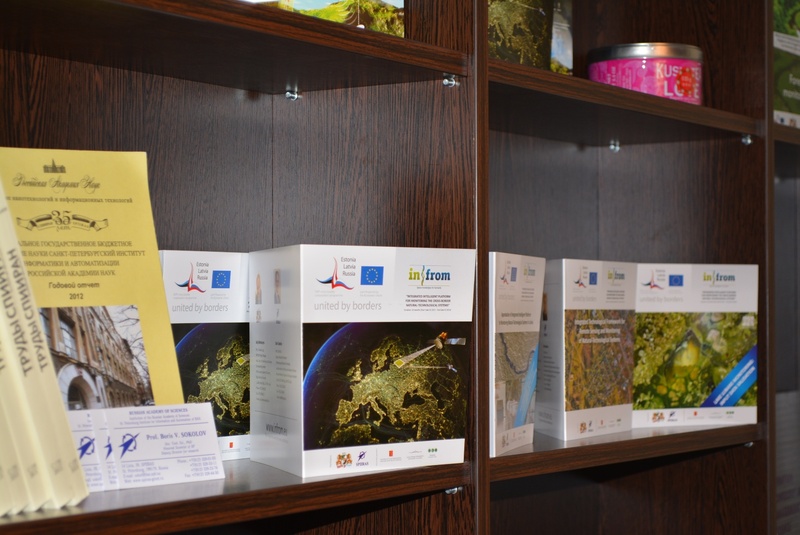 In particular, the most attention was given to flood monitoring in Daugavpils city in 2013. 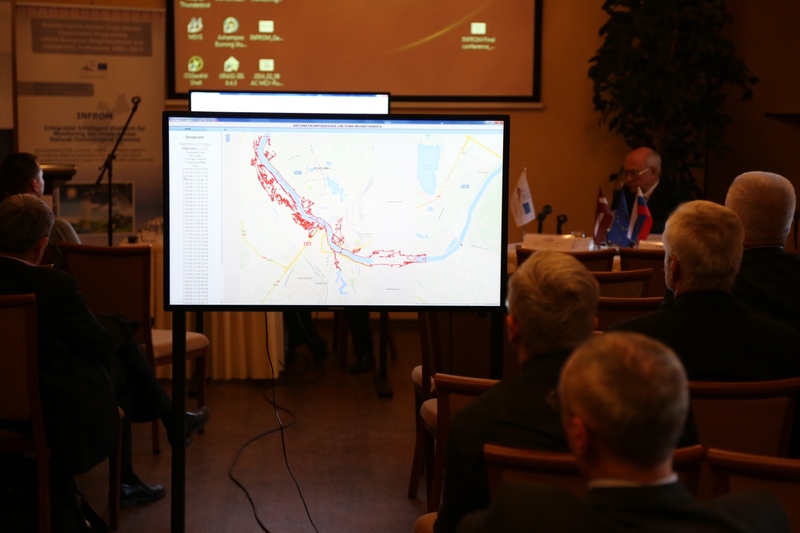 This case study clearly demonstrates the potentialities of the application of space ground monitoring technologies and modern information technologies as crowd-sourcing for flood forecasting.